Potential competition coming from more than $1 billion of Indian casino development in Northern California isn’t causing Reno gaming operator David Farahi to lose any sleep. If he ran a casino in Sacramento, however, Farahi says he would have concerns. “California is already saturated,” said Farahi, chief operating officer of Monarch Resorts, which owns Reno’s Atlantis Casino Resort. He said the three new casinos, operated by Hard Rock, Boyd Gaming Corp., and Caesars Entertainment, and expected to open by 2020, will steal business away from Indian gaming properties in Sacramento and the Bay Area, rather than from Reno. Farahi was referring to the mid-2000s. The 2003 opening of the United Auburn tribe’s Thunder Valley resort near Sacramento, coupled with expansions at two nearby Northern California Indian gaming properties, decimated Reno’s gaming market. Washoe County’s gambling revenues – Reno accounts for 75 percent of the market – hit an apex of $1.14 billion in 2000. A slow downward spiral began that year and was enhanced by the recession toward the end of the decade. When the bottom hit in 2012, Northern Nevada casinos had lost almost $400 million in annual gross gaming figures. Now, in the eyes of the region’s business community, economic development leaders and gaming analysts, Reno’s casino business is in far better condition to weather competition from California. “In my view, the new properties in California will have no impact whatsoever on Reno,” said Jefferies gaming analyst David Katz. An economic upswing in Northern Nevada, thanks to an influx of large and small technology-based companies, has transformed Reno’s gaming industry from a tourism-dependent market into a traditional regional gaming destination driven by a local customer. 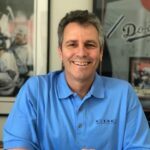 Mike Kazmierski, CEO of the Economic Development Authority of Western Nevada, said the move into the Reno area by some 200 companies has made the region less dependent on gaming. Gaming revenues produced by Reno casinos have bounced back. The market has grown each of the last six years, including 2017’s 8.7 percent increase. Reno revenues were $636.9 million in 2018, an increase of 4.1 percent. Washoe County experienced 16 straight months of increases before the numbers declined in September. But it’s more than just slots and table games. Reno’s casino industry doesn’t resemble the 1990s and 2000s. Older properties – such as Grand Sierra (formerly Bally’s Reno and Reno Hilton) and the Nugget in Sparks (formerly John Ascuaga’s Nugget) – were acquired by new operators who invested millions of dollars in upgrades, new restaurants, spas, entertainment and other non-gaming amenities. The Nugget is building a $6.2 million, 9,000-seat outdoor amphitheater in downtown Sparks across from the casino that is expected to open this summer. Home-grown Eldorado Resorts – which has expanded into the third largest regional casino operator in the nation with 26 properties in 12 states – hasn’t ignored Reno. 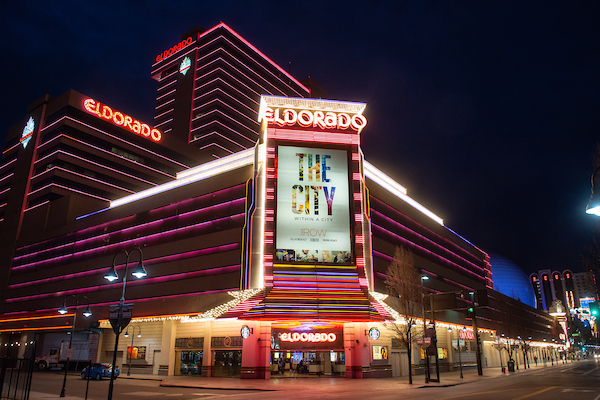 The company’s three inter-connected downtown Reno properties across six city blocks – Eldorado, Silver Legacy and Circus Circus – have been dubbed as “The Row,” offering guests dozens of new non-gaming amenities. The control board’s Fiscal 2017 Gaming Abstract showed that 51 percent of all revenues produced by casinos in Reno came from gaming activities. Ten years earlier, 54.3 percent of the revenues came from gaming. Lawton said the market is slowly evolving, but it’s still not Las Vegas, where gaming revenues account for less than 35 percent of the total market. California is the nation’s largest Indian casino market, accounting for more than 26 percent of the nation’s tribal gaming revenues. According to economist Alan Meister, the state’s Indian casinos produced $8.4 billion in 2016, roughly $2 billion more than the Las Vegas Strip. The current expansion is the largest in a decade and surrounds the state’s capital city. Hard Rock, which is owned by the Seminole Tribe of Florida, is partnering with the Enterprise Rancheria of Maidu Indians on a $440 million resort in Yuba City, 30 miles north of Sacramento. Caesars and the Buena Vista Band of Me-Wuk Indians are developing a $168 million casino 30 miles east of the city. Boyd Gaming and Wilton Rancheria of Miwok Indians are building a $500 million complex in the Sacramento suburb of Elk Grove. “Our location is ideally positioned to serve both the Sacramento and San Francisco Bay markets, making this project a significant opportunity for the tribe as well as our company,” Boyd CEO Keith Smith said on a quarterly earnings conference call in October. All three properties are within a three-hour drive of Reno. However, Macquarie Securities gaming analyst Chad Beynon doesn’t believe new casinos “over the hill and west on Interstate 80” will have the same impact on Reno the market experienced a decade earlier. Farahi cited the 2013 opening of the Graton Resort near Santa Rosa, roughly 45 minutes north of San Francisco, as an example of Reno now being immune to California competition. The number of visitors to Reno from California has diminished in recent years. The last visitor profile from the Reno Sparks Convention and Visitors Authority, dated 2015, showed California provided 32 percent of Reno’s visitors. In 2011, the figure was 39 percent. Reno is drawing visitors from other markets, though, including the South and Midwest, and there is still a drive for convention business. The Reno Sparks Convention Center leadership is expected to approach the Legislature this year about funding for an expansion. Meanwhile, the Reno-Tahoe International Airport has experienced 42 consecutive months of increased passenger travel. For the first 11 months of the year, passenger volume was more than 3.8 million travelers, up 4.9 percent over the same period last year. Outside of Eldorado Resorts, which relies on tourism for 75 percent of its business, analysts said most Reno casinos focus on locals. Farahi said Atlantis’ customer base is 55 percent locals. Beynon suspects others, including the 2,000-room Grand Sierra, approach 60 percent locals business. Katz said the rejuvenated Reno economy has boosted the casino numbers. Higher wages and low unemployment mean people have a more disposable income for entertainment. “It seems like the city has turned a corner,” Katz said. Filling hotel rooms in Reno has not been a problem of late, either. In the last 12 months, 29 companies moved their corporate headquarters to Reno. Kazmierski said these businesses average roughly 100 employees. Corporate meetings are big business for the midweek market. However, the area’s housing shortage has left many new utilizing hotel rooms for extended stays during the midweek. Farahi said the hotel occupancy is somewhat a double-edged sword. Occupancy is solid, but operators can’t drive a higher rate. As for any potential expansion in the Reno market, Station Casinos owns an eight-acre site near the convention center but stalled any development plans to focus on nearly $600 million in combined renovations to Place Station and Palms in Las Vegas. 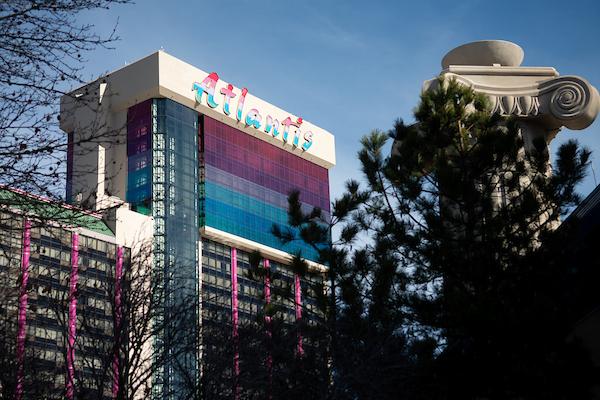 Farahi said Monarch owns 40 undeveloped acres surround the Atlantis for expansion, but the company is currently focused on expansion of its hotel-casino complex in Colorado. During the recession, there was a contraction in the Reno market. Several older casinos closed. SunTrust Bank gaming analyst Barry Jonas suggested the closing of additional older Reno casinos could give the market an additional boost.